Across all walks of life the idea of throwing as few dollars as possible at a job or service to solve your issue has been contemplated. You cross your fingers and hope you will be fortunate enough to have everything work out in your favor. Truth is, sometimes it does but more times than not if you continue paying with pennies instead dollars, the percentages will not be on your side. 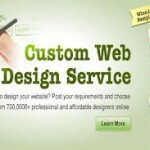 This logic holds true for creating your very own website and purchasing content through article writing services. There’s the notion that some of the content you order using a cheap content provider will work out if you’re lucky enough to rope in a half decent writer. But in the grand scheme, it’s only a matter of time before you become disappointed in the work being delivered and realize it’s time to step up to the next level. To build an engaging blog or website, the number one factor behind the success is the content. You’ve heard the term ‘content is king’. This couldn’t be more true. When you’re posting your content online, envision the first impression you’re making on your community of readers. First impressions are important and the ability to blow them away with off-the-charts content is what will keep them on your site, commit to your content through your RSS feed, or bookmark your site for future reference. On the flip side, poor content is a dead giveaway and will kill your audience before they have a chance to navigate further throughout your site. Even if you have great content elsewhere, don’t let a smidge of poor content appear anywhere on your site, as readers will disassociate from your site and never return. Engage, engage, engage. It’s the goal of every business, big or small, to attract customers and make as much money as humanly possible. It’s a very basic premise, but one that can generally only be achieved by some solid marketing. While the end goals may be the same, the marketing strategies of big and small business are completely different. It goes without saying that a small business simply doesn’t have the advertising budget of the big names, which means they have to find ways to get the word out without breaking the bank. Here are a few ways that the small business can effectively market their products and services to the consumer. Many small business owners start their company after many years with a larger entity, but the first thing they have to understand is that they can’t market like big companies. Often times, bigger businesses advertise in order to build name recognition, but as a small business owner you have to be concerned with attracting customers immediately. The best way to do that is to offer a discount or promotion of some sort within your ads. We are thrilled to announce the details surrounding our new logo design contest assurance program that rightfully ensures businesses receive enough logo designs to help them choose a winner, all for no extra fee. We do everything in our power to expand our list of professional services giving small businesses the opportunity to fulfill all of their business needs in our marketplace. Today we have a new opportunity for small businesses to be guaranteed a certain number of designers submitting a design for their unique logo design needs. Called the Witmart-Assurance Contest, for no additional fee, our employers can be assured they will receive at least 35 designers working on their logo based on the reward of their logo design job. At present, we are the only crowdsourcing site that offers this guarantee to businesses and individuals alike. The details of the Witmart-Assurance program work like this: As an employer goes through the logo design process, an opportunity to ensure the number of designers working on their logo is given via a checkbox. If selected, employers will receive a certain number of different designers working on their logo. The number of designers depends on the logo design package purchased. The Value package costing $199 will ensure the employer a minimum of 35 designers. A Standard package costing $349 will ensure the employer 50 designers or more, while the Professional package retailing at $549 will guarantee the employer receives at least 65 designers. 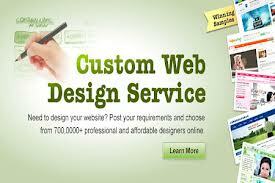 Web design refers to the development, creation and overall flow of your website. It involves technical and innovative aspects for ease of use along with useful and helpful information meant to support the end user. Most business owners who have websites to market their products and services hire web designers to make sure creating a pleasing, attractive and effective web design is achieved. When a website design is both attractive and effective, it can drive more visitors and keep them on your site in an effort to make a purchase or request information. A professional web designer can model, design, construct and execute each and every important element of design in the website with success. This includes graphics, tags, images, pages, content and more. Finding the right web design for your niche will give you an upper hand in your market, allowing more traffic to come to your site in the form of referrals through the world of social media. There are many professional freelancers specializing in web design and acquiring this type of help is considered the best way to have a website that is SEO friendly, attractive and professional. The old cliche says some things are better off left to experts in their field. With a well-designed, easy to navigate website, it has become easier for the customers to make their way through the content and keep them on your site longer. This also enables them to find the key information they are searching for on your website.